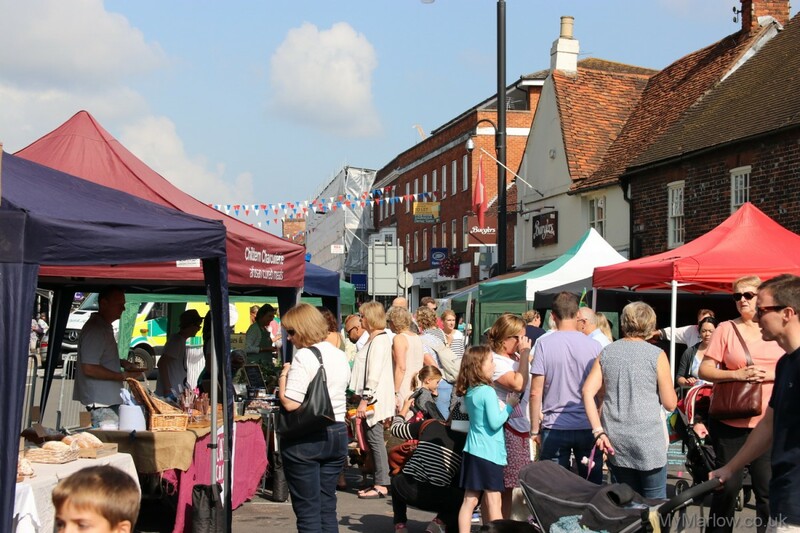 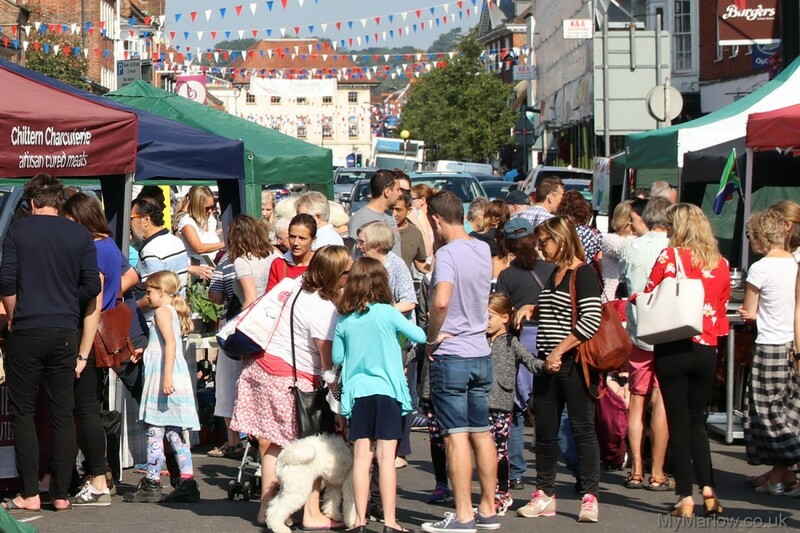 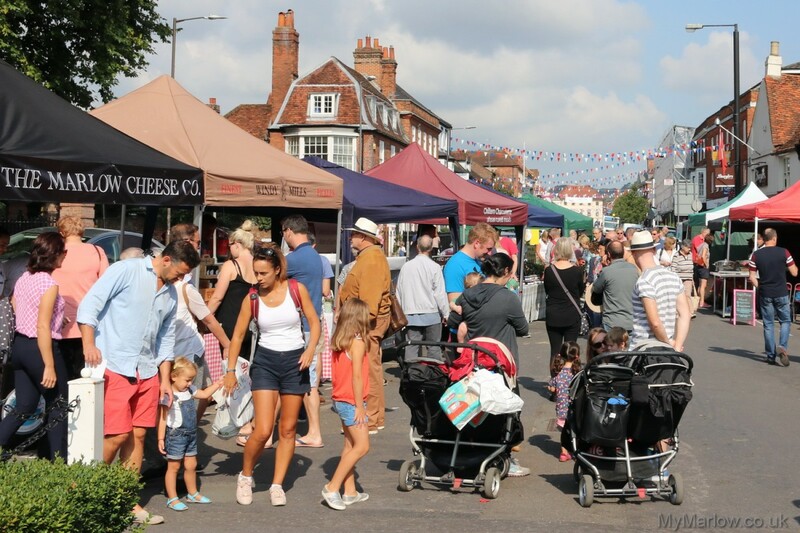 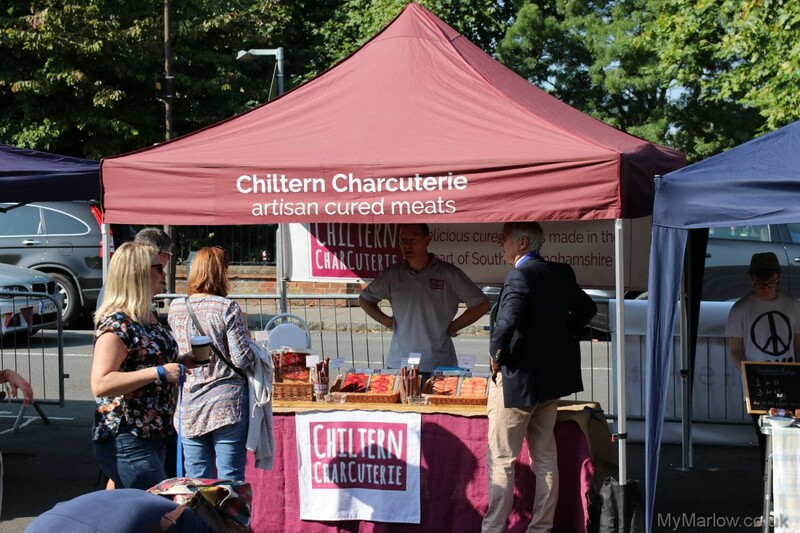 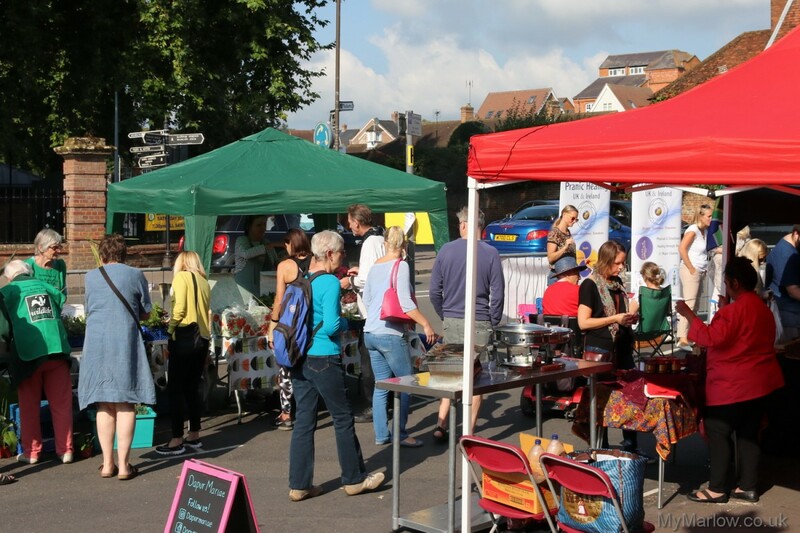 Marlow has a new new outdoor market, held for the first time yesterday – Sat 2nd September. 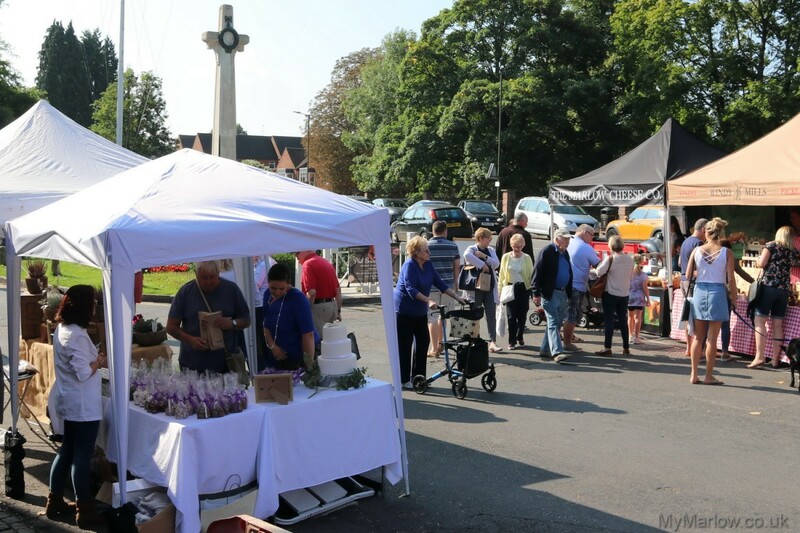 Outdoors on The Causeway, were stalls selling mostly foodstuffs whilst inside the Church Hall a variety of gifts and crafts were on offer. 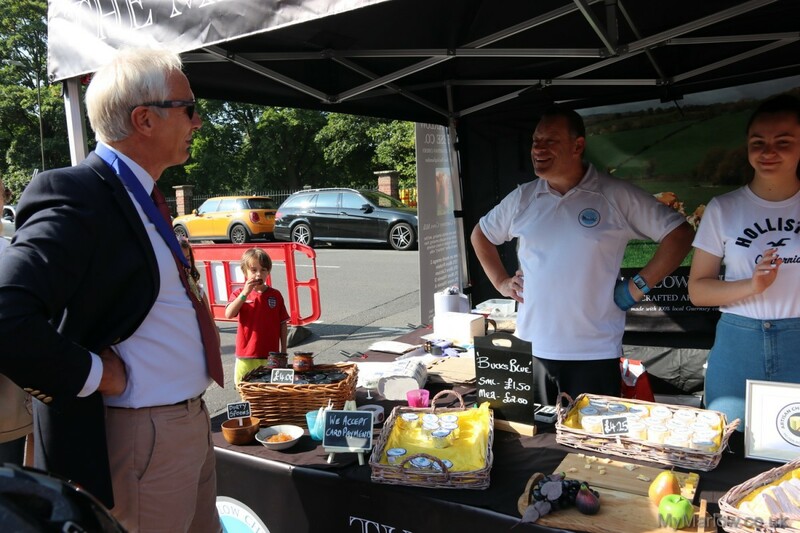 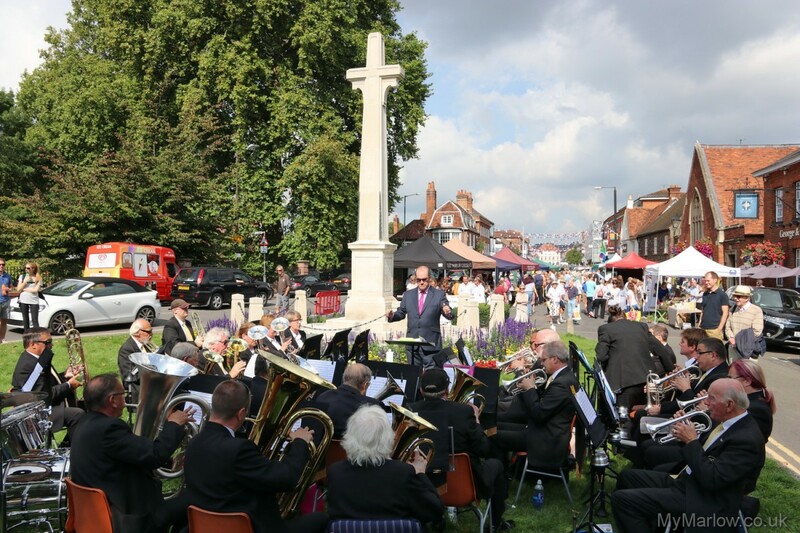 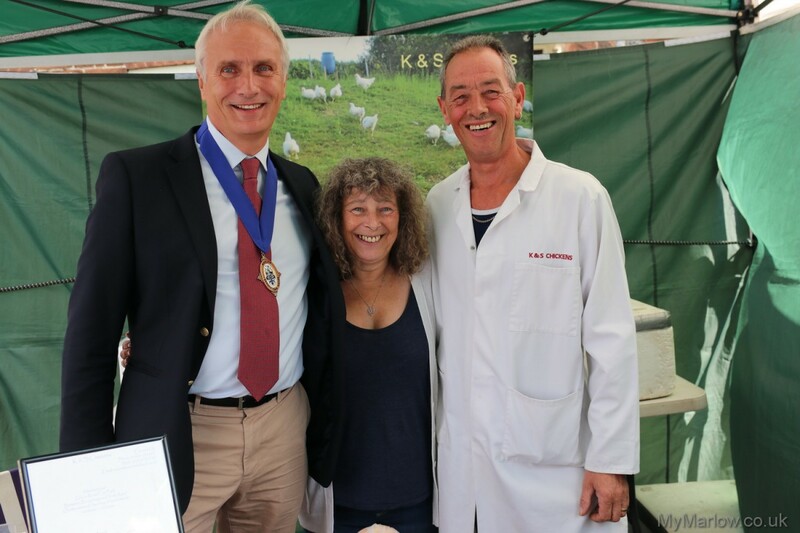 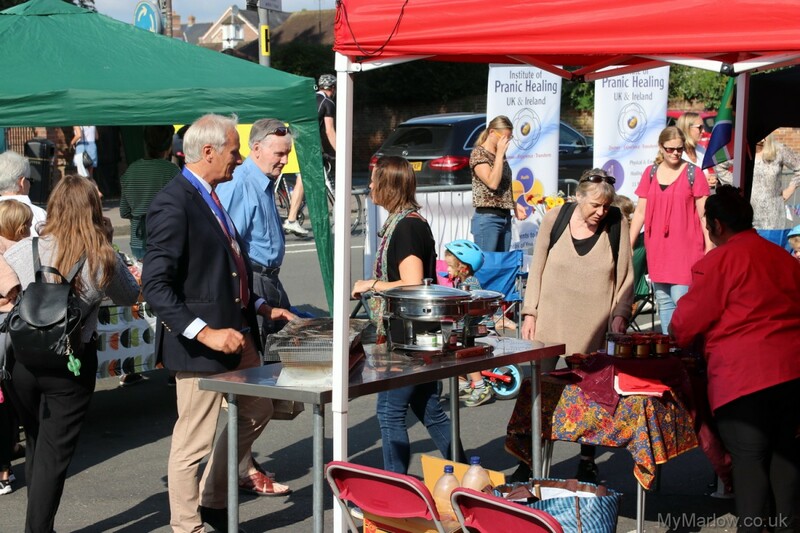 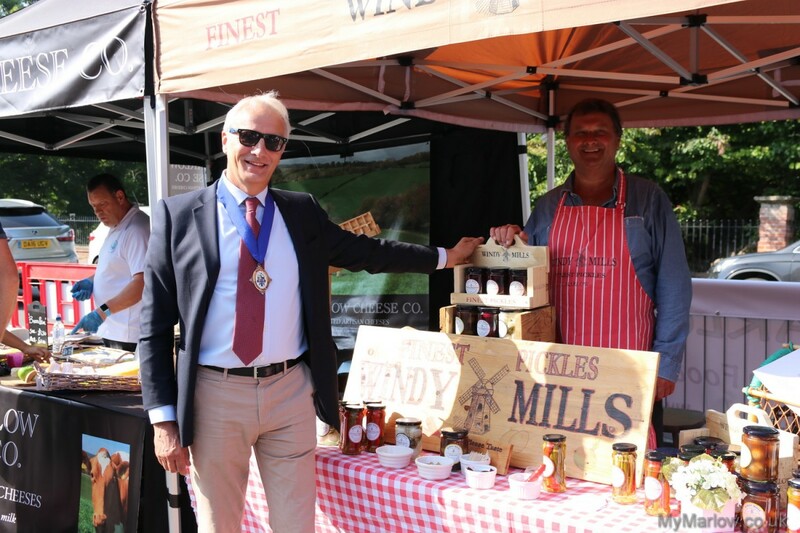 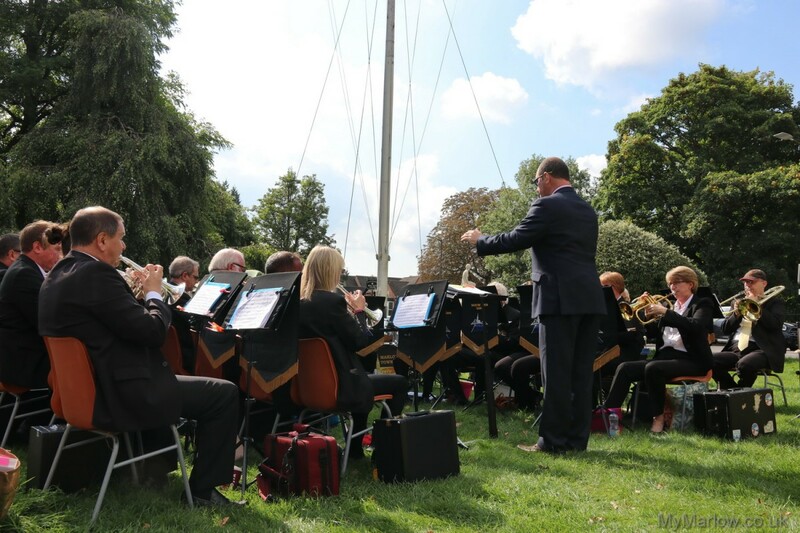 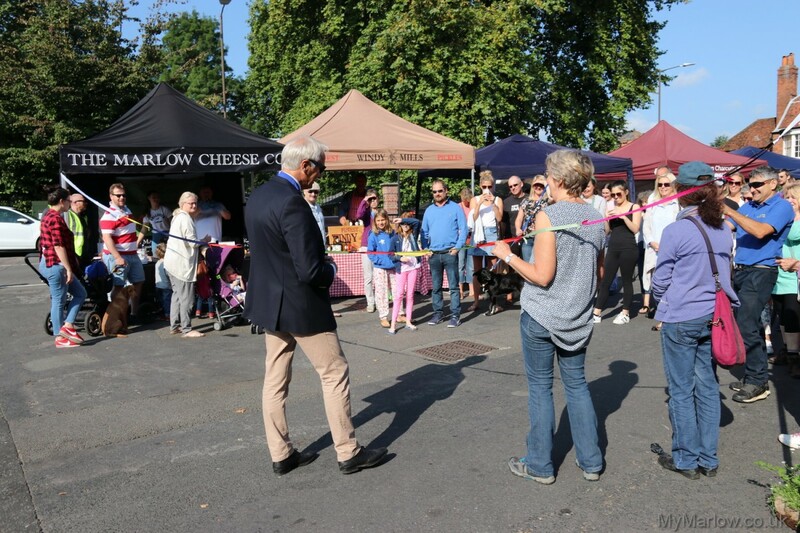 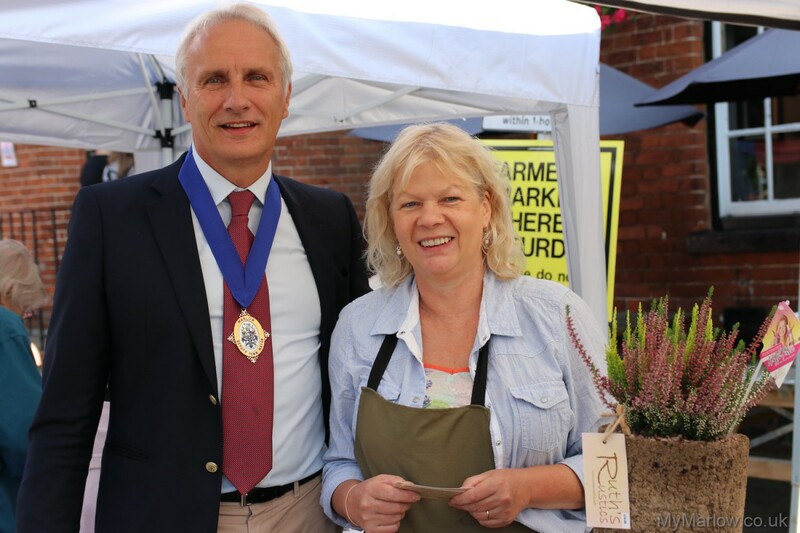 The market was opened by Deputy Mayor Chris Funnell, and there was musical entertainment later on thanks to Marlow Town Band. 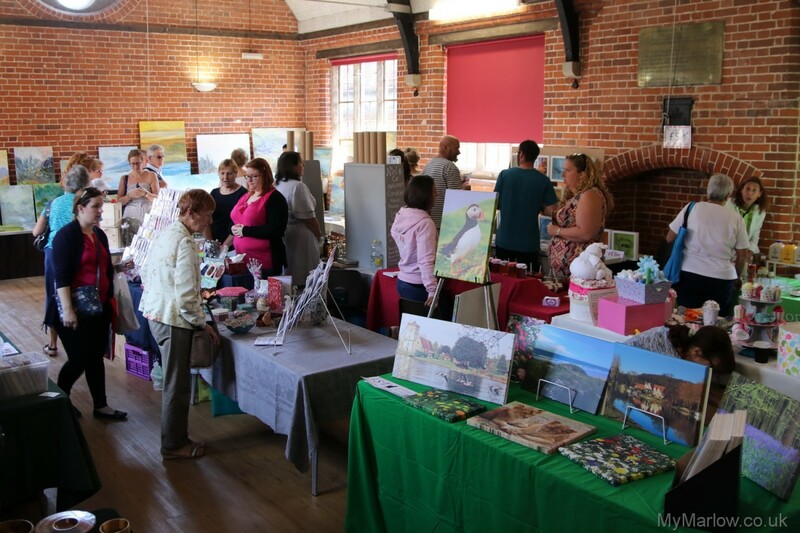 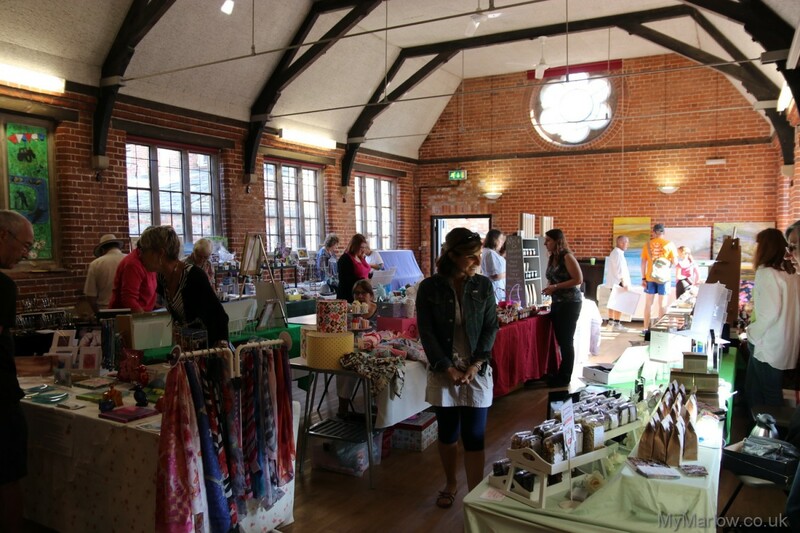 The market will be held on the first Saturday of the month (except January), with additional indoor stalls in the Church Hall four times a year. 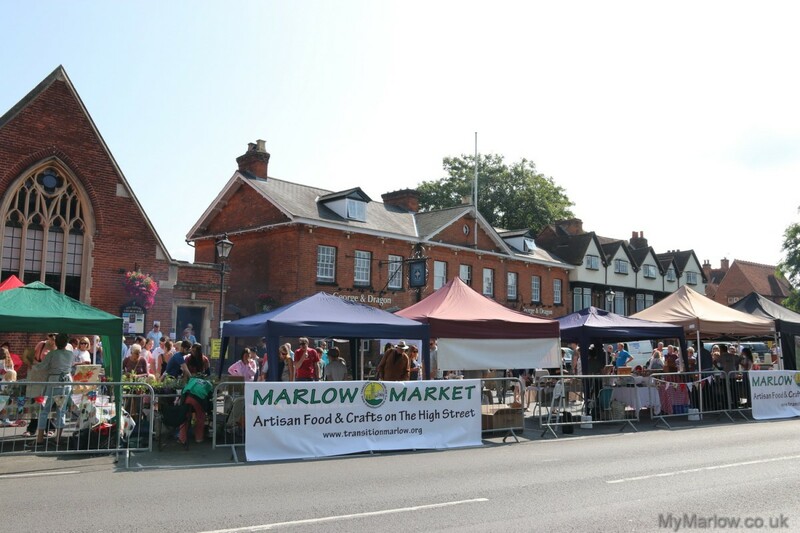 About the author: Founded MyMarlow.co.uk in its original version back in 2000 - yes the internet DID exist back then. 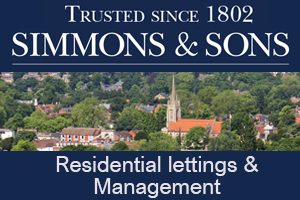 Brought up in Marlow, went to school here, now has children at the same schools. 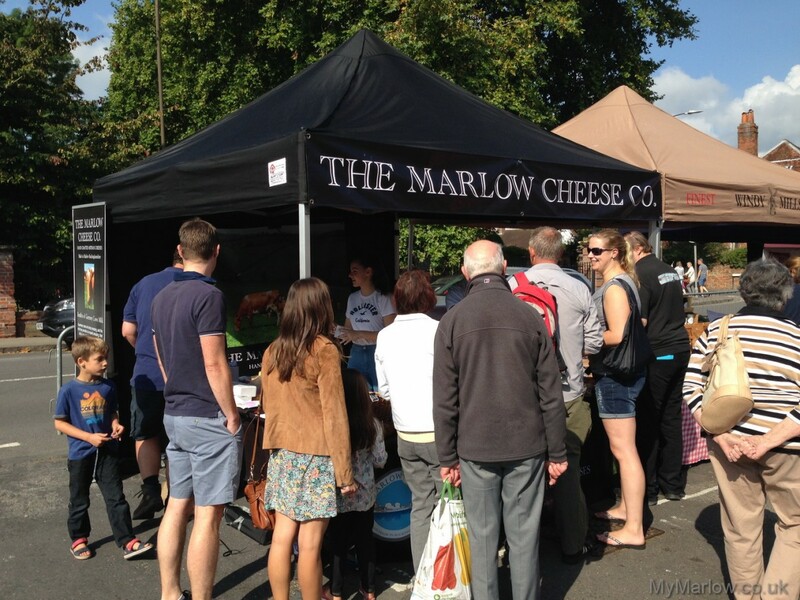 Quite clearly loves all things Marlow - hence spending nearly 2 decades doing this! 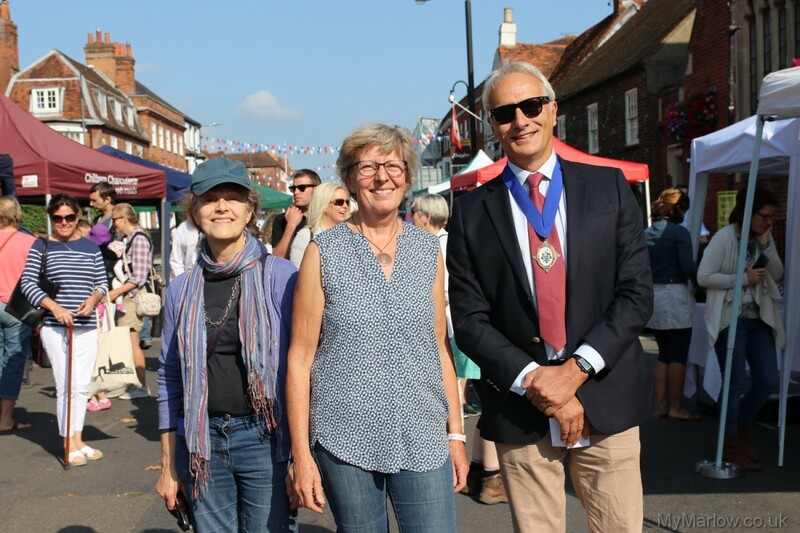 Rylko closing down, but crosses the road to open as Shoe Emporium! 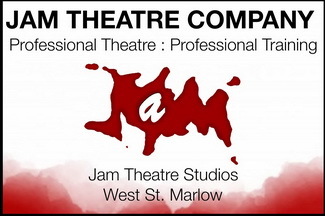 EXCLUSIVE: Sun Ya talks to MyMarlow about closure… with a TWIST! 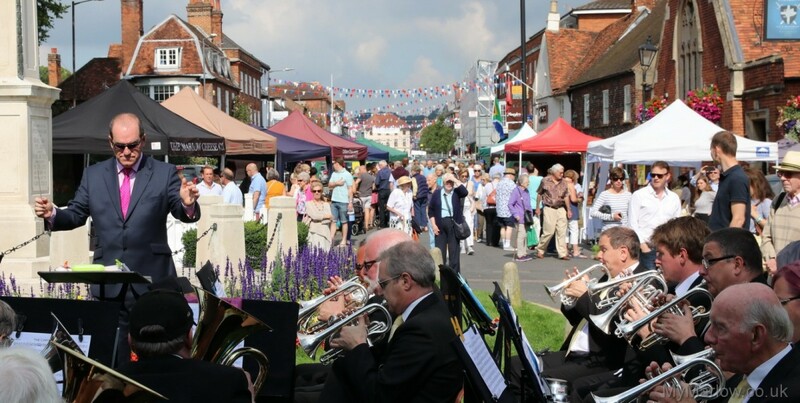 MyMarlow brings you the latest news, reviews, events and general goings on in Marlow. 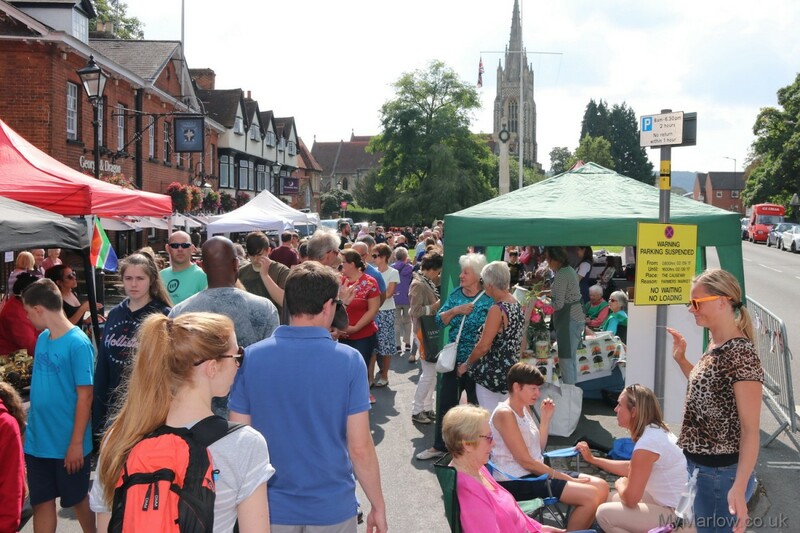 For residents, for visitors, for anyone who loves Marlow.